Bantry's Maritime Hotel is the ideal base for West Cork's wildest peninsula, says award-winning travel writer, Conor Power. 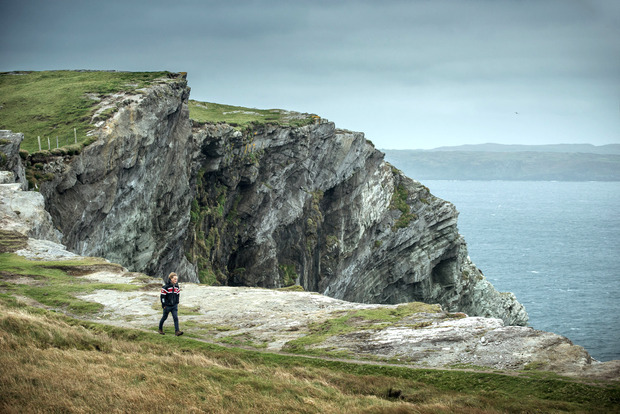 Long before anyone dreamed up the Wild Atlantic Way, this particular piece of it had forged a path as a fine example to others in the Sheep's Head Way walking route. 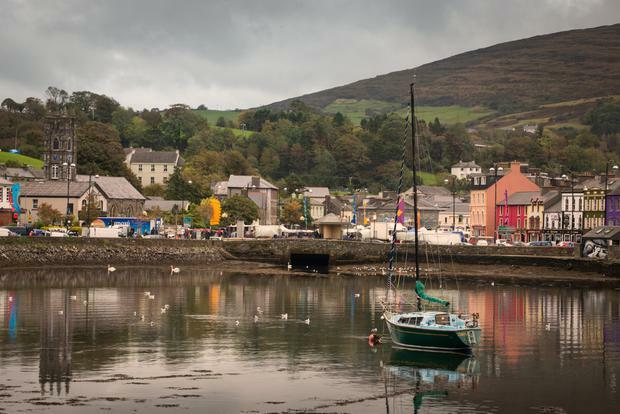 The 93km looped stretch of the walk officially begins on Bantry's Wolfe Tone Square, just a few steps from the front door of the Maritime Hotel. It takes you first through the grounds of Bantry House (bantryhouse.com), a great Georgian pile that doubled as a Jamaican plantation in the 1996 film Moll Flanders. The award-winning route then covers some of the most spectacular scenery you'll find in Europe, with a level of difficulty that will allow the beginner to fare just as well as the grizzled veteran. Among the best of 20 shorter loop sections are the Lighthouse Loop Walk and the Cahergal Loop Walk. The exterior of the Maritime Hotel in Bantry can divide opinion. I recall it described in the most disparaging terms by a well-known columnist, who wasn't impressed by its block-like concrete exterior. For someone like me, who has been around long enough to remember the ramshackle dusty industrial mess of buildings that it replaced, however, it's a shining clean beacon of beauty in comparison. The interior of this hotel was famously designed by the wives of the locally based builders and they've nailed it with a pleasing combination of funk and relaxation. Its linear stretch along the shoreline makes the most of some stunning views, too. Treatments at the hotel's You Time spa start from €35 in rooms overlooking Bantry Bay. Add in an afternoon tea supplement and you have a nice mixture of health and decadence. You can work it off on a stretch of the Sheep's Head Way or, for something closer to home, climb the 140 steps in the gardens behind the house. 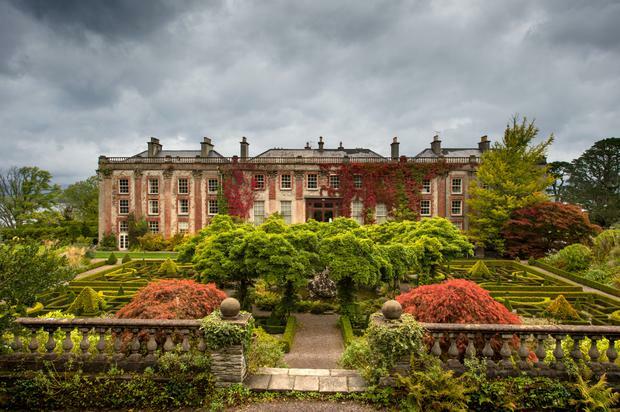 They'll bring you up to a postcard view of the house, gardens and Bantry Bay itself, with the hulking presence of the Beara Peninsula forming a brooding backdrop beyond. Every Friday, Bantry hosts one of Ireland's largest and most colourful markets. Fair Day features everything from fruit, veg and fish to bric-à-brac and collectibles, with an extended version on the first Friday of every month. You'll find it on Wolfe Tone Square (visitbantry.ie). The Maritime Hotel's photogenic pool is the centrepiece of a good four-star standard leisure centre. If you have a room at the front with a balcony, spend as much quality time as possible sitting out on it, enjoying the beautiful views of Bantry Bay at sunset, while the town itself to your right is also at its most photogenic from this perspective. Two-night family specials (with one dinner) start from €200 a night. The building site-style hoarding directly across the road from the hotel is an eyesore. The good news is that Bantry's 'Maritime Quarter' will get a lot classier with the opening of a spanking-new marina this summer. From Dublin, it's a four-hour drive to Bantry. From Cork city, there are multiple options for the 1.5-hour trip, the best of which is the Ballincollig bypass/Béal na Bláth/Coppeen/Dunmanway route. For more on Sheep's Head Way, see thesheepsheadway.ie. Summer B&B rates at The Maritime Hotel (027 54700; themaritime.ie) start from €60-€80pps a night. It has a free underground car park within walking distance of the town's pubs, shops and restaurants. Karen Birney, THEVOW.ie Unlike the majority of newlyweds today, Hannah and Richie didn't wait around before jetting off on their dream honeymoon.